How will we build in flexibility to keep our platform and infrastructure options open? Do the solutions we use deliver value and promote organizational change? Make it possible to do more with what you already have. 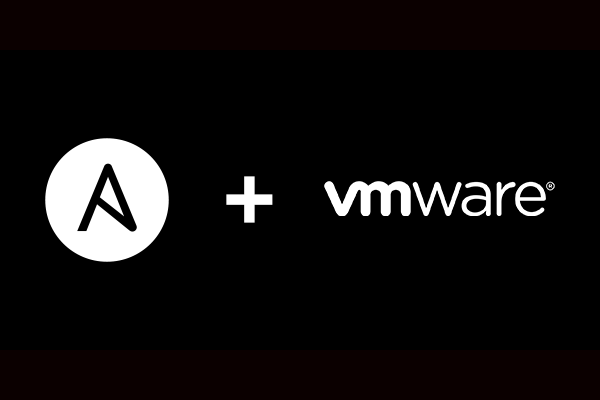 Ansible will help you automate your VMware infrastructure and accelerate the process from development to production. Many enterprise IT teams have an operations team managing the VMware infrastructure and a second team deploying apps to this environment. Using Ansible with VMware allows your team to enable a simple self-service IT model across all environments. In addition, Red Hat® Ansible® Tower can be used as a common tool across both teams, reducing complexity. The operations team can write Ansible Playbooks and job templates to describe the environments and the App team can build environments and deploy apps with a single button click. 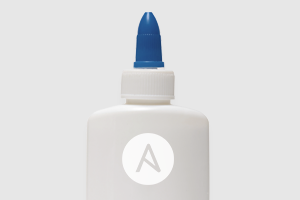 With Ansible, one member on your team can figure out how to solve a problem, automate the solution with Ansible, and then everyone knows how to solve the problem. Expanding automation to allow everyone to participate will ensure you get the most out of your existing infrastructure, and will prepare your organization for tools such as a cloud manager - helping you realize even greater benefits. Chances are VMware isn’t your only infrastructure tool. With Ansible’s extensive list of integrations and capabilities, you’ll be able to model nearly any process in your IT organization, and you can use the same tools you have today. Over half of our customers are using Ansible on VMware today, and they’re using it to glue together complicated workflows that encompass (for instance) a physical network, build systems such as Jenkins or Bamboo, a monitoring service, and finally, a firewall and load balancer - all while ensuring everything is configured exactly the right way each and every time. And when you’re ready to go hybrid, Ansible’s broad support for cloud providers is ready. Ansible also ships with integrations to support physical network devices for all leading vendors. Additionally, NSX modules are available for teams looking to automate network virtualization. Many VMware customers use vRealize Automation (vRA) to automate the provisioning of VMs, and would prefer to use Ansible Tower for orchestration and application deployment. Through a partnership with SovLabs, the power of Ansible Tower is now accessible from vRA, enabling advanced provisioning and ongoing Day 2 management functions. The combination of vRA and Ansible Tower expands the scope of possible automation for customers - in a manner that is faster and simpler than was previously possible. Explore the VMware Scenario Guide in Ansible Docs. Learn more about the vRealize Automation (vRA)/Ansible Tower integration from SovLabs. Contact us for an infrastructure automation demo.